Are you a pooped parent? Ready to stop your child’s lying, stealing, arguing and fits? Who benefits the most from camp? Pooped parents of birth, adopted and foster children, who are ready for more peace, love and laughter in their home. Challenging Children ages 1-13 who struggle with disrespect, defiance, and destructive behaviors and create chaos and stress. Stressed Siblings of a challenging child who live with overwhelming stress at home and are ready for family healing and change as a whole family. Our program has been proven over 18 years of camps throughout the world to increase closeness, trust, love, laughter and fun through the healing process. Our goal is for children to be more respectful, responsible and fun to be with and for parents to be more relaxed and HAPPIER with less stress and more tools and support. If you are ready for that.. JOIN US! $2000 for first 2 family members and $400 for each other member over 3 years old. A deposit of $500 per family will hold your place. Space is limited to only 18 families. Please contact us soon! 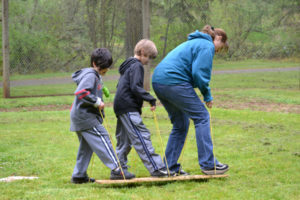 The focus of camp is to renew, recharge, and empower each parent and child with practical ways to reduce fighting and increase love and laughter in their home. Skill building exercises help to build honesty, trust and self-control as well as conscience development. The camp goal is for families to find hope and healing here and build the skills to be confident to continue with even more healing at home. Learning in a beautiful environment away from daily distractions– surrounded by support, and encouragement, has been a turning point for many. The tools work! The staff is uplifting and skilled! The food is fantastic! The laughter is contagious! The memories are priceless! Come experience success! The healing happens in the sunshine covered camp by a gorgeous, peaceful lake, nestled in the orange orchards of Florida, about 35 minutes from the Orlando Airport. Nancy Thomas personally directs the camp. She will be there all week to work side by side with you helping your children. Nancy has been successful with challenging children for over 40 years. 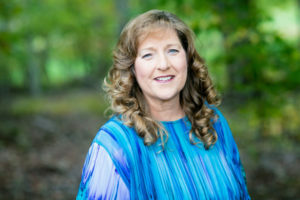 She has developed effective tools and strategies that have gained her international respect as a leader, educator, and Therapeutic Parenting Specialist. 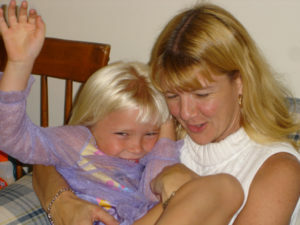 While she specializes in Reactive Attachment Disorder (RAD) her techniques have proven successful with ALL kinds of challenging children. Parents love how Nancy relates heart to heart with compassion and humor. She fills parents with encouragement and practical tools that work to calm the chaos! Ready for the healing to happen? Call Teresa Guerard 407-739-7211 or Tggreat@aol.com. Or Click Here to Register Online. Have more questions? Check out the Camp FAQs or call Teresa!